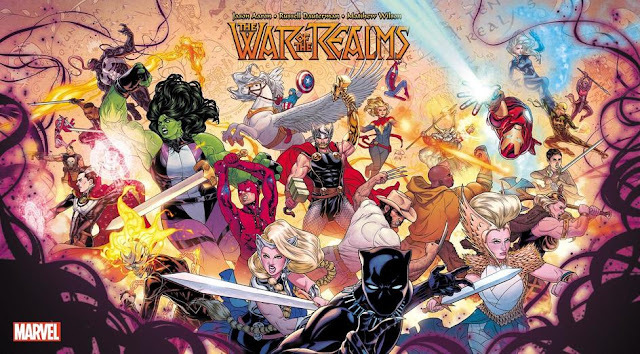 This piece was originally written for Critical Cartoons, a book series and blog banner dedicated to comics criticism, to go with the release of Peter Schilling Jr.’s Carl Bark’s Duck, and was edited by Schilling. 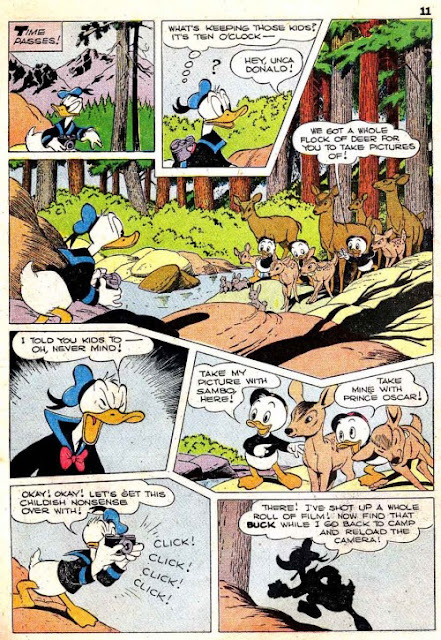 Osamu Tezuka, the god of manga, was an avid reader of Disney comics, specifically those of Carl Barks, the Good Duck Artist. He’s said as much (and if you need further proof, notice the image above). It would be easy to look at Barks’ Donald Duck stories and see only simplicity, but it would also be a disservice to the level of craft that Barks consistently put into his work. 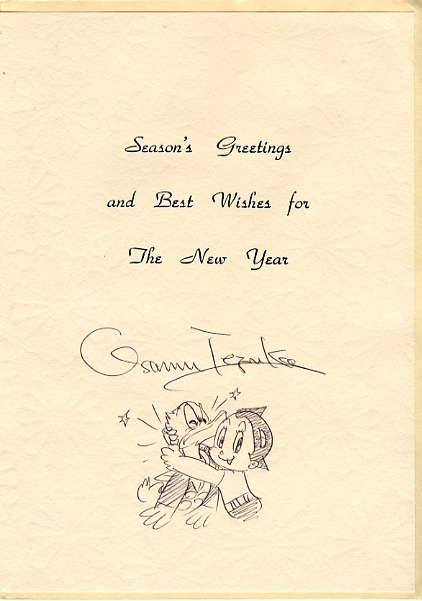 Although he obviously had to work in the Disney style, he had a draftsmanship and a sense of gesture that was all his own, and such quality was not lost on someone like Tezuka. The creator of Astro Boy was himself a gifted draftsman who could easily convey motion while maintaining a strong sense of line. 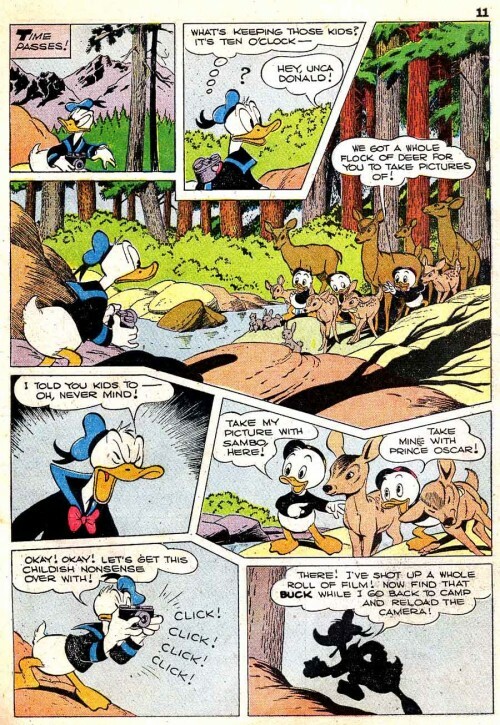 The similarities among the two are most apparent in a page from Tezuka’s Hikari, where Donald Duck, perfectly drawn, makes a cameo. Additionally, it wouldn’t be much of a logical leap to look at Barks’ drawing of Donald Duck, and see modifications Tezuka made to the character’s proportions to create several of his protagonists (like Hikari and Astro Boy). Such characters are easily identifiable and relatable to any reader due to their iconic aspects; the big eyes, the expressive mouths and the exaggerated postures are instantly recognizable, be they humanoid or Duck. 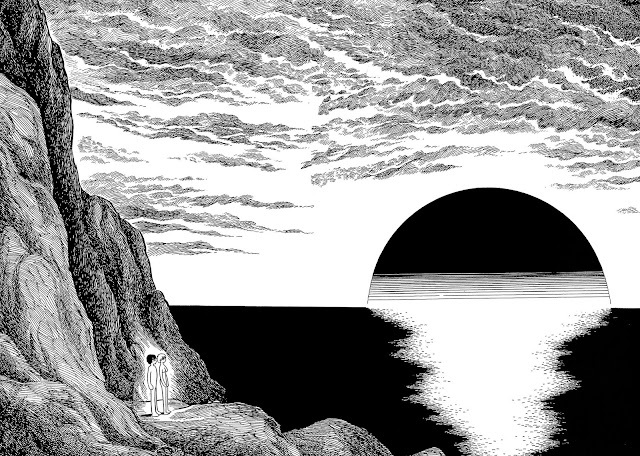 Open any of Tezuka’s early works, and you will likely find clear, concise storytelling. Grids (the panel layout of a comics page) were his predominant tool, with the action seamlessly flowing from one panel to another. It’s a tool Barks used, too. Tezuka was significantly more flexible with it than Barks. That’s because Barks was constrained by formatting issues pertinent to Disney publications, but Barks himself did experiment within the rigid structure when he could. He would change the shapes of the panels slightly at times, making them more jagged or crooked, depending on what was in them. Barks’ full array of panel tricks can be seen in “Vacation Time”, a story where he veers away from the Disney format of “four panel tiers per page.” Tezuka would take these experiments further, with bleeds and even more variety in panel shapes, and would do so as his career went on. The most telling connection between Tezuka and Barks, for me, is the masking effect, the act of using cartoony and simplified styles against more realistic, heavily rendered backgrounds. This gives readers a strong sense of being there by making it easy for them to project themselves into the character while simultaneously evoking all the applicable senses to give a sense of place. 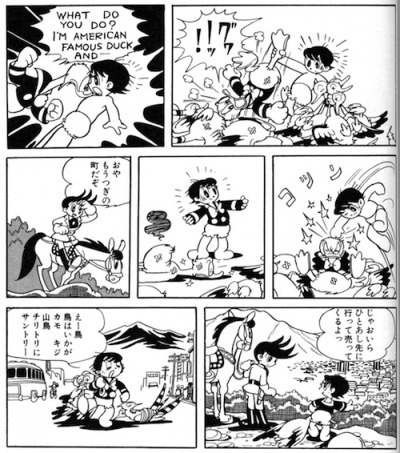 Scott McCloud, in Understanding Comics, says this is a manga and European effect, and indeed, open up a Tezuka book, say, Apollo’s Song, and you’ll see many such instances. But Barks did it from get-go, heavily rendering the places he would send Donald and Uncle Scrooge to, be it Plain Awful or Tralla La. Barks only really pulled out the heavy rendering when he needed to establish a strong sense of scope and place, and the sparing use of such technique heightens the impact. Tezuka was the same way, pulling out the incredibly high level of hatching or cross-hatching when it was appropriate to do so. Barks’ influence is seen in numerous places (like in Raiders of the Lost Ark), but in this example it’s a matter of visual storytelling surpassing the physical distance and differing cultures between two artists. You see a company man subtly pushing the form, in small doses, and someone outside the company taking those ideas and building on them. It’s exciting and fascinating, and it’s all accomplished via a cartoon duck.